Before the meadowed landscape beckoned from the hilltop and before the friends gathered as a family of friends, a little ball of fur, frightened and alone, came upon what seemed to be the welcoming sanctuary of Belmont Racetrack. Here, the young grey kitten, tired and hungry, meandered the grounds in search of shelter. His desperate search came a decade after Affirmed had been victorious in the Belmont, having won the final leg of the three-year-old racing series, the triple crown. Belmont, filled with horses and festive activity following the optimism of the 1970’s that had been witness to three triple crown winners, seemed, at first glance to offer refuge. Options, any kitten might have deduced, would be numerous. That, however was not the case as the kitten walked from barn to barn, only to be ignored. He passed through shed row after shed row unable to find friendship or food. His walk slowed as he weakened from hunger and despair. An orphan, surrounded by the bounty that was the sport of kings, had no shelter. Sad and tired, the kitten finally capitulated and crawled into a stall, nestled into the corner by the feed tub, and fell asleep in a cushion of fresh straw. Then, suddenly awake, the kitten’s eyes, wide and focused, peered at the looming face of the giant horse who had just realized his presence. The stallion, nostrils flared with anxiety, began to relax as interest overrode fear. In a similar fashion the kitten, now fully aware, momentarily calmed. As it is said of cats, he was curious. Then whiskered muzzle met wet nose. Instantly both withdrew. Bewildered by the other’s intrusion into their domain, both kitten and stallion remained still. For what seemed an eternity to the kitten, silence prevailed. Finally, too tired to escape and frightened by the entrapment, the kitten emitted a high-pitched cry for help. His back arched and his fur bristled as he exhaled another, penetrating meow. Again alarmed, the stallion’s nostrils snorted in reply. Peace had transitioned into unsettled commotion, drawing the attention of the stallion’s groom. Rushing into the stall, unable to see the small, grey creature in the corner, the groom swiftly placed the chain lead through the halter and held the stallion. This he accomplished while speaking in a low, reassuring tone, comforting him with calming words, then softly brushing his neck with his right hand once the lead had been secured. Finally relaxed, the stallion nudged the groom twice with his head and then stared into the corner of the stall where the kitten, now frozen, stood silently looking up at the stallion. Alerted by the posturing, the groom looked into the corner, and saw the kitten standing, barely visible in the clump of straw that had been his refuge. Frightened by the new presence, the kitten made a bold move and leapt to his right and bounded out of the stall. Startled once more, the stallion needed more comforting as the kitten ran across the shed row and out of the barn through a gap in the boxwood hedge that grew at the perimeter. Checking the stallion’s face and head, then his bandages, the groom, satisfied that all was in order, patted the stallion one more time and removed the lead, exiting the stall by ducking under the stall guard. Whinnies had become audible as the feed cart, filled with the warm oat and grain mixture, had begun its way down the shed row. 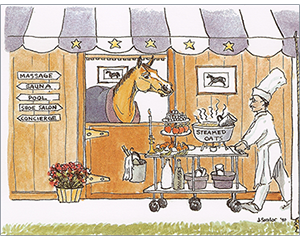 Relaxed, the stallion peered out the stall welcoming the arrival of his meal. The groom stood by, finally assured that all was indeed in order as the stallion buried his muzzle into the feed tub and began to eat. His interest aroused by the sounds of the neighing and slurping of warm, moist feed, the kitten looked back at the barn. Desperate and hungry, the kitten walked cautiously back toward the shed row. Peering through the opening in the hedge his eyes caught sight of the groom who had been in the stall with the stallion. The groom, sensing the kitten’s presence, turned around, trying to focus on the gap in the hedge where the grey image had reappeared. Recognizing the kitten that had just fled, the groom slowly approached. Before he had walked a few steps, the kitten had retreated, hiding behind the hedge. The groom, realizing the vacancy of his effort, turned around and headed toward the feed room. Most horse barns in the 1980s had a bag of cat food. Trainers and grooms found comfort in feeding stray cats, often welcoming them into their barns. Some cats became fixtures, others preferred to remain aloof. Unaware of this tradition, the kitten had withdrawn to the edge of the barn’s grass island by the time the groom had returned with a bowl of dry cat food. Unable to see where the kitten had gone, the groom left the bowl by the gap in the hedge. Curious, the kitten walked back toward the hedge, returning to the gap through which he had fled a second time just moments ago. Peering at the bowl, the kitten studied the setting carefully. The groom had remained, standing only a few feet away. The bowl beckoned. The food, generously portioned, rose above the rim, peaking in the middle as a delicious crown of kibble. Hungry, tired, and desperate, the kitten crawled slowly toward the bowl, ready to retreat if necessary. The groom stood by as the kitten began to eat, carefully at first, picking food and retreating behind the hedge only to return for more, until the bowl was empty. A few days passed and a number of meals had been consumed in similar fashion. The kitten and groom had become friends. The stallion, too had welcomed the kitten into his stall when, on occasion the kitten would crawl into the corner for a nap. It was summer and the track and backside bustled with activity. The kitten, while not unapproachable, was not as yet committed to the barn. He learned to enjoy the morning meal that had become routine. As he began to relax and as his fears dissipated, the kitten allowed the groom to pet him as he ate, purring as he did. It, along with the happy arching of his back, signaled the formalized bonding that had been realized. The following weeks brought comfort to both the kitten and the groom. Their friendship evolved into kinship. This prompted the groom to begin to consider the kitten’s long-term welfare, so he began to consider options that could offer the kitten a life away from the uncertainty of the racetrack. Good fortune would intercede as one day another person, a daily visitor to the barn, made the kitten’s acquaintance. Daily treats reinforced this friendship as well. 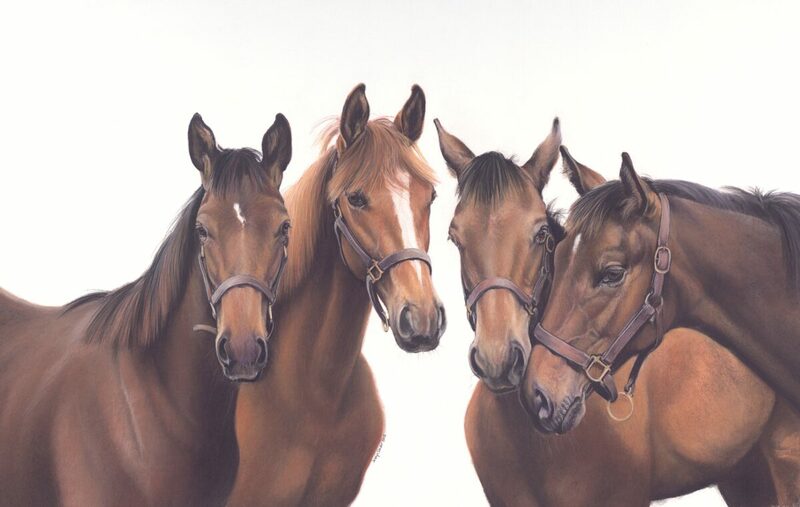 From that point forward the kitten, groom and visitor met regularly in the shed row in the early morning hours of the day when the horses were fed. One morning, as the daily routine was reaching its conclusion, the groom and young man began to discuss the kitten’s future. They thought in earnest about what to do. While the track had offered the kitten sanctuary, and many cats were happy at Belmont, the innocent nature of the kitten prompted a safer, more comforting setting must exist. That afternoon the kitten and his guardian, the young man he had befriended at the barn, left the track. They headed north from Belmont for an hour to the country where farms adorned the landscape. Here, nature presided despite the surrounding development that was trying to intercede. For now, the proud farmland remained. 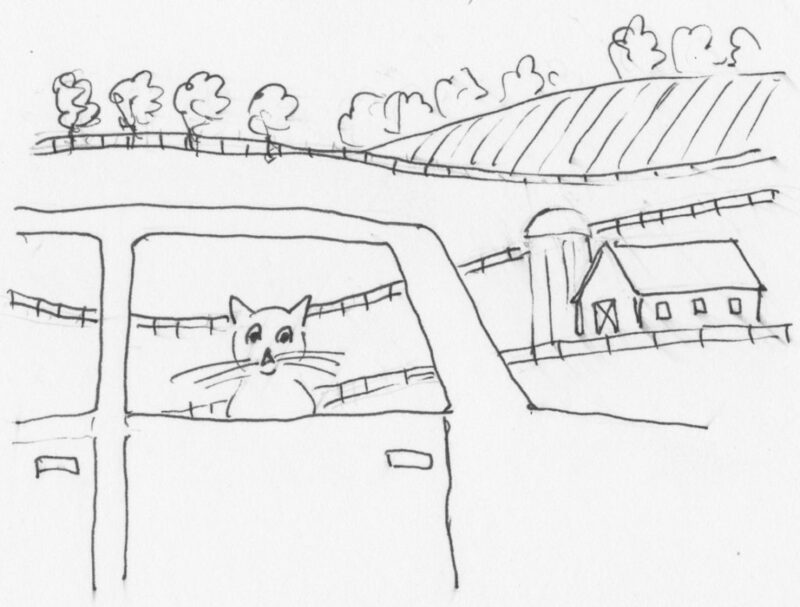 On his way north, nestled in the back seat of a station wagon, the kitten became Guidry. His first home welcomed him that afternoon. A two bedroom co-op that boasted a soft, blue recliner and two inexpensive rugs for kitten play. Fate had brought good fortune, both to an orphaned kitten and a young professional managing a new life in New York. An endearing friendship had begun and each found comfort in one another’s company; a life as Best Friends was born.